We live in an era in which practically anything that can be imagined can be built: artificial islands, floating hotels, skyscrapers that cause passersby to strain their necks just looking up at them, massive underwater tunnels and bridges spanning once-unthinkable lengt­hs. But with these great construction projects come complications, including cost overruns, accidents and even utter disaster. For every great success, such as Dubai's super-swank, self-proclaimed seven-star Burj Al Arab hotel, there's a project like North Korea's Ryugyong Hotel, mired in controversy, uninhabitable and looming over the Pyongyang skyline. In this article, we're going to take a look at 10 construction projects that broke the bank, including the Ryugyong Hotel. In making up our list, we looked at a variety of criteria: overall cost, cost overrun, size, ambition and general notoriety. 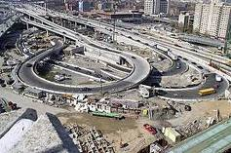 Some of these projects took decades to plan and co­nstruct; a couple aren't finished and may never be. Several can be called white elephants -- eyesores or constructions infamous for their cost or general uselessness. Others fulfill their expected purposes, perhaps even serving as gems of modern engineering, but they remain controversial or well known for the costs and challenges they incurred. ­We're going to start with some lesser-known but still astoundingly pricey construction projects and then move on to some of the most famous culprits, such as the Chunnel and the Big Dig. The Ryugyong Hotel dominates the Pyongyang skyline but is uninhabitable. ­Esquire magazine called it "The Worst Building in the History of Mankind" [source: Hagberg]. It's also been called the "Hotel of Doom," the "Phantom Hotel" and the "world's worst building"­ [source: Herskovitz]. It's the Ryugyong Hotel in Pyongyang, North Korea. This 105-story monstrosity rises 330 meters (1,082 feet) into the air, composed of three slabs that meet at the building's apex, forming a sort of pyramid. The building was intended to be a 3,000-room hotel. It's among the world's tallest skyscrapers and could be considered the world's tallest hotel, except that it hasn't been used as a hotel -- or anything else. That's because the Ryugyong Hotel has never been completed, although it has been built to its intended height. Construction began in 1987 and stopped in 1992 after North Korea spent as much as 2 percent of its GDP on the project and funding dried up. Exact figures are difficult to get, owing to the communist government's extraordinarily repressive and secretive nature, but North Korean GDP was estimated to be $21.3 billion in 1994, and 2 percent of that is $426 million. The unattractive gray building is certainly a white elephant. The North Korean government routinely airbrushes it out of official photos, despite initially bragging about the building in state-run media and distributing postage stamps featuring its image. ­Work on the building resumed in 2008 with an Egyptian company called Orascom entrusted with refurbishing the moribund hotel. But even if they complete the interior, some experts wonder if the Ryugyong's apparently shoddy construction will ever be safe enough to be occupied. A Delta II rocket launches Iridium's last five satellites in 2002 from Vandenberg Air Force base, California. ­Conceived in 1987 by engineers from Motorola, who provided much of the financial backing, Iridium is a network of 66 satellites (and 13 in-orbit "spares") intended to provide worldwide satellite phone, data and fax services. Iridium was supposed to allow people to communicate anytime, anywhere. Iridium LLC was created in 1992. Limited service began in 1998. Only 474 days later, the company filed for Chapter 11 bankruptcy protection. The main problem was the tremendous initial cost of launching the satellites: $5 billion . Iridium charged high fees and needed at least 1 million subscribers just to stay out of the red. But many traditional GSM cell phone providers began providing their customers cheap roaming services across state and international boundaries, eliminating one of the main advantages of Iridium -- worldwide service. Iridium's phones were bulky, didn't work indoors and were extremely expensive, with one Motorola model costing more than $2,000. ­Iridium only managed to accrue 55,000 subscribers. Several of the satellites weren't launched, and for a time, it seemed that the satellites would simply be deorbited and burn up in the atmosphere. The existing satellites were eventually sold to a new company called Iridium Satellite for just $20 million. 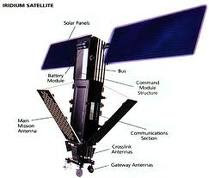 In 2002, Iridium Satellite launched the last five satellites. As of 2008, Iridium Satellite claimed that they had around 250,000 subscribers, including many from the military. Tourists cross makeshift walkways in the flooded Piazza San Marco during December 2008. Some projects never seem to finish. This one can't get started. 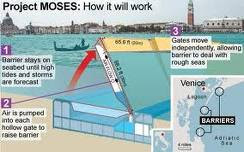 The MOSE Project -- named after the biblical Moses and the acronym Modulo Sperimentale Elettromeccanico (or experimental electromechanic module for non-Italian speakers) -- is the result of 30 years of negotiations first begun after Venice experienced a catastrophic flood in 1966. The project hopes to stem flooding and save the city from sinking deeper into the lagoon on which it's located. In the last century, Venice has sunk 11 inches (or about 28 centimeters). And whereas in the early 20th century, Venice experienced flooding about seven times a year, it now happens around 100 times a year . MOSE calls for 78 hinged metal gates to be placed along three channels in the Venice lagoon. The gates could be as large as 66 feet (20 meters) wide, 16 feet (5 meters) thick and 92 feet (28 meters) long [source: Squires]. The 300-ton (272-metric ton) gates mostly will be on the seafloor. But when water levels reach a certain level, the barriers will automatically fill with air, rising within 30 minutes and creating a dam 0.93 miles (1.5 kilometers) long. When the waters recede, the gates can descend back to the seafloor in 15 minutes. Like many projects of its type, cost estimates vary wildly -- from $5.5 billion to $10.4 billion . ­Construction finally began in May 2003 and should be finished in 2012, but environmental groups and maritime-related businesses have raised concerns about the project, so the work is far from done. 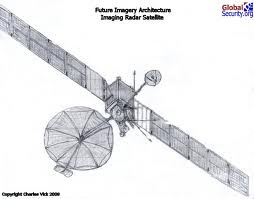 The Future Imagery Architecture program was designed to be the U.S. government's next-generation system of spy satellites, capable of operating at night or peering through poor weather. A contract for two satellites was awarded to the Boeing Company, which wasn't known for its ability to manufacture satellites with sophisticated optics. 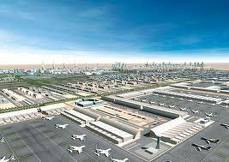 A team from Boeing asked for $100 million just to put together its proposal for the FIA project . ­Boeing's design, which was highly ambitious in order to compete with the more experienced Lockheed Martin Corporation, ended up being too complex to be built. But before that conclusion was reached, Boeing often received faulty parts from suppliers or simply used the wrong ones. The government spent $10 billion on the project, about twice as much as was initially budgeted, before revoking the Boeing contract and turning to Lockheed Martin . Boeing still asked for a $500 million "termination fee" and received $430 million for its troubles. The company also was allowed to fulfill the contract for one of the satellites that used advanced radar for imaging. ­The entire program was finally scrapped in September 2005, and the government may have spent up to $18 billion. In 2007, another classified U.S. spy satellite program was axed by then-Director of National Intelligence Mike McConnell. This picture sums up the state of Montreal-Mirabel these days: empty. ­One of the world's largest airports sits practically empty and unused. Montreal-Mirabel Airport is a $1 billion airport located 40 miles (64 kilometers) from Montreal, Canada. The airport opened in 1975 during a time when Montreal was experiencing a building boom in preparation for the Olympics. Montreal-Mirabel was supposed to be one of the world's major airports, taking in 50 million passengers a year with six runways and six terminals. It didn't even manage to crack 3 million, and the last passenger flight took off on Oct. 31, 2004. The airport's failure can be attributed in part to bureaucratic and political struggles, particularly relating to groups lobbying for Quebec's independence, which prevented lawmakers from settling on a plan to create transportation routes linking the airport to downtown Montreal. Banks, businesses and English-speaking Montreal residents left as squabbles over Quebecois separatism intensified, bogging down the region's economy. The 1970s energy crisis also harmed the aviation industry. The airport was intended to be a hub for quick trans-Atlantic flights on the Concorde, another infamous boondoggle. Instead, traffic was stolen away by Montreal-Dorval Airport (now called Montreal-Pierre Elliott Trudeau International Airport), which expanded to take advantage of the newly ascendant Boeing 747. ­In February 2006, the Montreal Airports Authority announced a deal with two French developers to turn Montreal-Mirabel into a massive space-and-water-themed amusement park. The first of three renovations is expected to cost $100 million. As of early 2009, construction on the theme park hadn't begun. 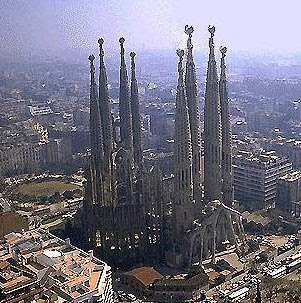 The Sagrada Familia has been under construction for more than 130 years. The Sagrada Familia, or the Expiatory Temple of the Holy Family, is a cathedral located in central Barcelona, designed by legendary architect Antoni Gaudi. Construction began on March 19, 1882, and continued until Gaudi was hit by a streetcar and killed in 1926. At that time, only 15 percent of the building was completed. It's still not finished. Construction has been halted frequently because of lack of funding, with donations providing a lot of the necessary financing. In recent years more money has poured in, and the church has benefited from its status as a UNESCO World Heritage Site. The sheer scope and ambition of the project have also made work proceed slowly, and some original plans and models were destroyed during the Spanish Civil War. Sagrada Familia is a gorgeous cathedral, with delicately shaped spires rising high into the sky. The structure is filled with tremendously detailed carvings, sculptures, friezes and other ornamentation. ­Construction is scheduled to be completed in 2026, and despite ongoing work, Sagrada Familia remains Spain's most popular monument. However, 400 prominent Spanish artists and intellectuals released a statement in December 2008 saying that construction should stop. They argued that the building no longer matches Gaudi's artistic vision and has been compromised in the name of tourism. But defenders of the ongoing construction say that Sagrada Familia is great precisely because it's a collective work, clearly bearing Gaudi's imprimatur but also featuring contributions from workers and artists over many decades. Between 1984 and 1993, $11.2 billion was spent on Space Station Freedom, the U.S. predecessor to the International Space Station (ISS). When the ISS replaced Space Station Freedom, President Clinton pegged the cost of the new project at $17.4 billion. In 2006, the Government Accountability Office said that $35 billion had been spent since 1985 and that it would take about $100 billion to complete the station . There are many complicating factors in figuring out the station's approximate cost. It receives major contributions from a group of countries: the United States, Russia, Japan and 10 members of the European Space Agency. Shuttle flights, refueling, maintenance and other related costs may or may not be included in estimates, likely contributing to NASA saying that the station will be cheaper than the GAO's estimate. There are also unforeseen costs and setbacks, such as the tragedy of the Space Shuttle Columbia disaster. When considering costs, are we asking how much is it to complete the station or to complete and run it for a certain period of time? The European Space Agency states the estimated cost will be 100 billion euros ($123 billion) to assemble the station and run it for 10 years. ­No matter the final cost, the space station is certainly the most expensive science experiment ever attempted. But proponents of the station argue that it is an unprecedented opportunity for international cooperation, to test the limits of space technology and to conduct valuable, potentially groundbreaking research in a unique environment. 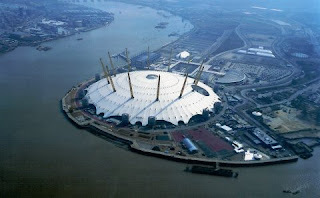 The Millennium Dome, now known as the O2 Arena, is considered a white elephant by many Britons. ­Perhaps as close as one gets to a literal white elephant, this white, domed behemoth, built to house a celebration for the new millennium, has become an embarrassing eyesore for many Londoners. The Millennium Dome has been controversial ever since its inception in the mid-1990s. Costs rose throughout the planning and construction phases, with the British government regularly dispersing more money to the dome's builders. In the end, the dome cost 789 million pounds ($1.1 billion) to build . Ticket sales for the attractions were far below expectations. The New Millennium Experience Company, the dome's operator, only made 189 million pounds ($275 million) in revenues. There were accusations of fraud by vendors and suppliers. A band of thieves even attempted to steal a 203-carat diamond on display. The dome was only open for a year, closing on Dec. 31, 2000 -- just before the start of the new millennium. In 2001, maintenance costs were 28.4 million pounds ($41.3 million).The following year, monthly maintenance alone clocked in at 250,000 pounds ($363,950). ­For a time, it was unclear what the dome's post-celebration role would be, or if it would just be an ugly reminder of hundreds of millions of pounds wasted. Eventually the naming rights to the dome were sold to mobile phone company O2. 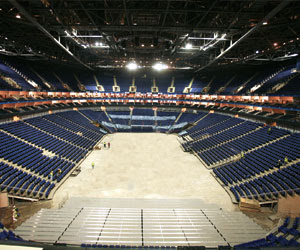 On July 24, 2007, the dome reopened under the name the O2 Arena after Anschutz Entertainment, the venue's new owners, spent 600 million pounds ($1.2 billion) to renovate the site, adding a 20,000-seat concert arena. It's now used to host concerts, sporting events, traveling exhibitions and a movie multiplex. Vehicles approach the entrance of the Channel Tunnel on June 27, 2006, in Folkestone, England. The Chunnel, or the Channel Tunnel, is a trio of 31-mile (50-kilometer) long tunnels underneath the English Channel, connecting the United Kingdom and France. When finished in 1994, the Chunnel's $21 billion cost made it the most expensive construction project in history . Construction involved 13,000 engineers and workers, 250,000 engineering drawings and, sadly, 10 deaths. Building the Chunnel took six years, but plans for constructing some sort of underwater tunnel spanning the English Channel dated back to 1802, with many false starts along the way. Several pilot tunnels, some thousands of feet long, were dug in the late 19th century. In the 20th century, it took the British and French governments decades to finalize plans for construction. The project was canceled more than once but finally came together in the late 1980s. ­Besides a few incidents of fires, the Chunnel has been largely successful, providing a popular method of transport for people and freight between the United Kingdom and France. But the project's initial cost was severe, and it continues to exact a heavy financial toll. In early 2009, a new rail link connecting London to the British side of the Chunnel opened. It cost $13.8 billion -- the most expensive individual construction effort in the country's history. It doesn't look like much, but that little section of highway and underground Boston from which cars are exiting cost a lot of money. ­In 1980s Boston, traffic on the city's Central Artery lasted 10 hours a day and cost the local economy about $500 million. In response, the Central Artery/Tunnel Project -- or Big Dig -- was launched to replace th­e six-lane Central Artery with an underground road with eight to ten lanes. 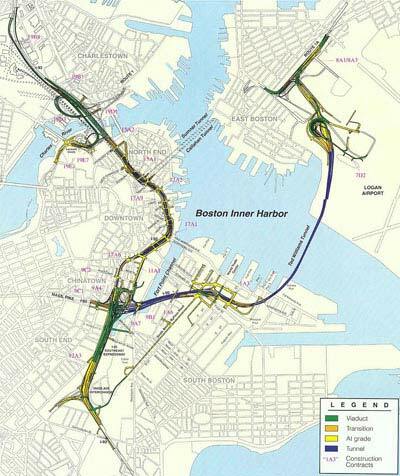 The project, one of the most difficult infrastructure projects ever attempted, also involved the construction of several other major bridges, roads and tunnels, some of them going under Boston Harbor. Construction began near the end of 1991 and finished on Dec. 31, 2007. The original cost estimate was $2.6 billion, eventually rising to $14.8 billion by the time the project was done. But with the interest due on borrowed funds -- which will be paid through 2038 -- the Big Dig will eventually cost $22 billion. The city practiced a process it called mitigation to minimize harm to residents' daily lives and commutes. But mitigation also contributed to the project's massive cost overruns and didn't always work. Some businesses suffered because of the rampant construction. There were other setbacks through flaws in design or construction, the deaths of four workers and one motorist, criminal charges against some companies and numerous lawsuits. But many aspects of the project's work -- which employed as many as 5,000 workers on some days -- have been called marvels of engineering. And the Big Dig has reunified the city, improved traffic flow greatly, opened up new parts of the city to development and added green space.